These crispy and soft breakfast potatoes are easy to make in just 15 minutes. Don’t let the name fool you though, these potatoes would make a great side for breakfast, lunch, or dinner. 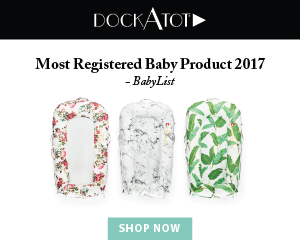 Now, in an effort to fully disclose, this article contains affiliate links for products I use. If you purchase something, I would receive a comission. For more information, please see my disclosure page. 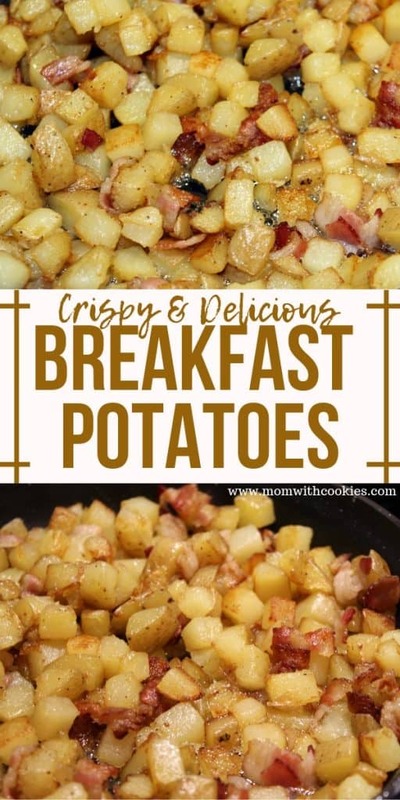 What do you need to make breakfast potatoes? 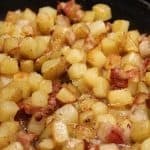 How do you make breakfast potatoes with bacon? 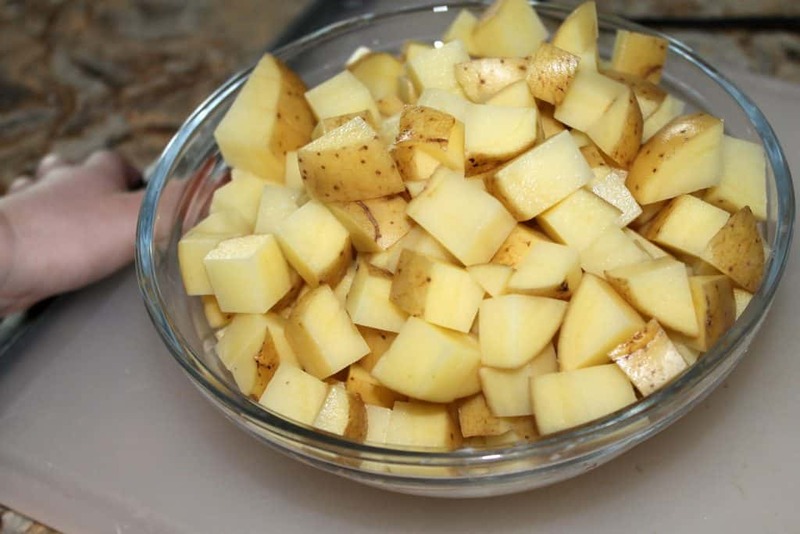 Rinse the yellow potatoes in warm mater and then dice them up into cubes. Set them aside in a medium bowl. Then, slice the uncooked bacon into 1 inch pieces. Set this aside in a small bowl. , add your 2 Tbsp olive oil and diced potatoes. Then, add in the bacon pieces. Add in your salt (1/2 tsp), pepper (1/2 tsp), and garlic salt (1/4 tsp) and then cook on medium high heat for 15 minutes stirring often. 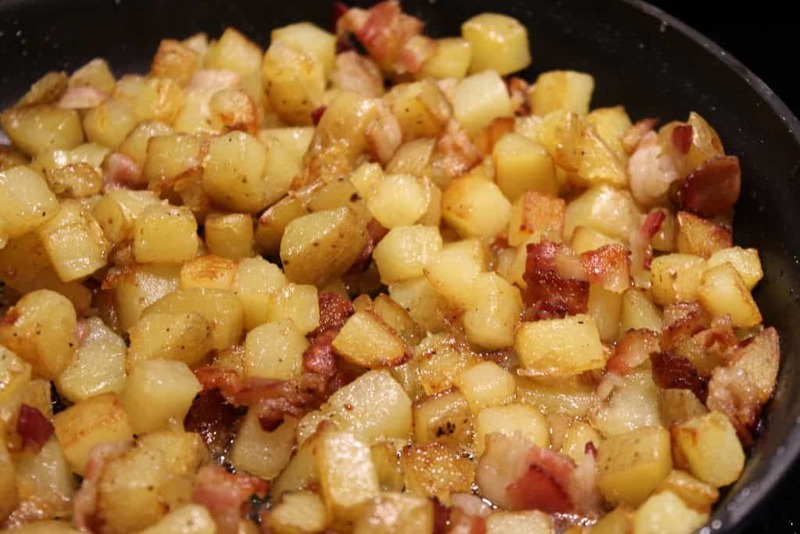 The potatoes should be golden brown, and the bacon cooked all the way. 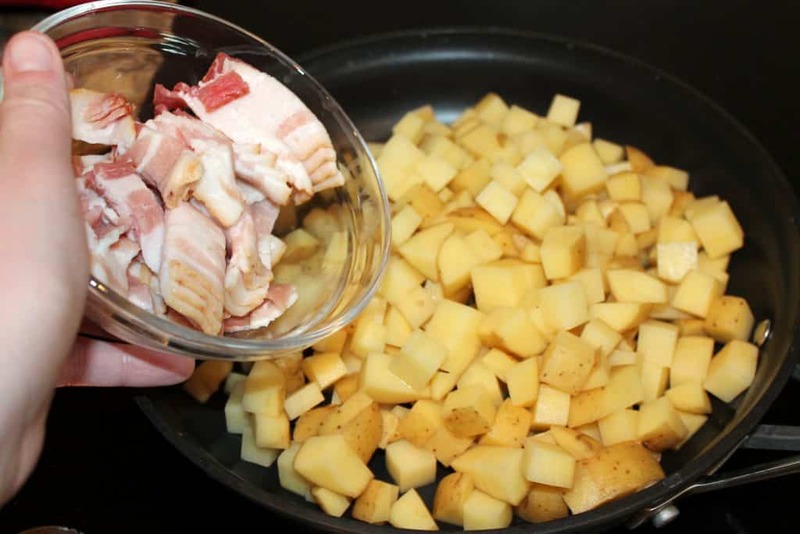 Then, remove these breakfast potatoes from the heat. Serve with your other favorite breakfast items. 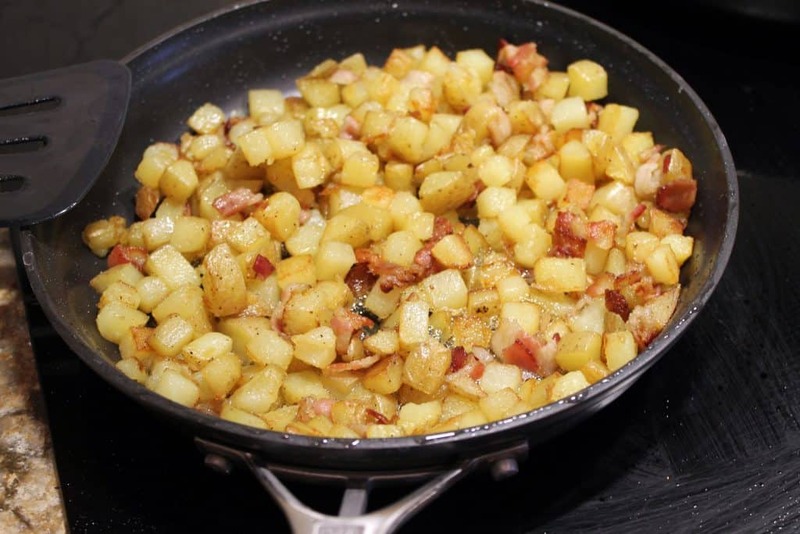 These crispy and soft breakfast potatoes are easy to make in just 15 minutes. Don't let the name fool you though, these potatoes would make a great side for breakfast, lunch, or dinner. Rinse the potatoes, and then dice them up. Place them in a bowl, and set aside. Then, cut the bacon into 1-inch pieces. Place these in a small bowl, and set aside. 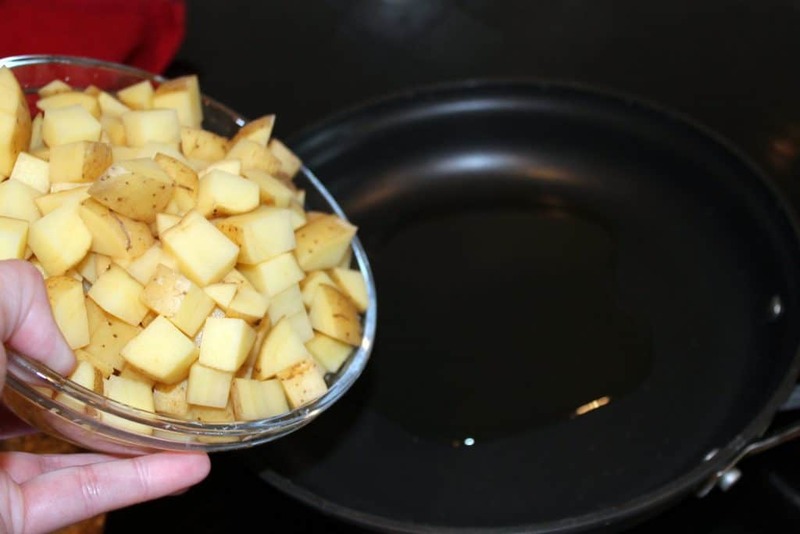 In a large frying pan, add the olive oil and diced potatoes. Then, add in the bacon pieces, salt, pepper, and garlic salt. Let it cook on medium-high heat for 15 minutes, stirring often. Then remove from heat and serve.